In the aftermath of the Great War, Tom Sherbourne returns to Australia, and works alone on an island as a lighthouse keeper. On occasional trips back to the mainland, he meets and then marries Isabel Graysmark; they return to the island together, where Isabel conceives and miscarries three times. Shortly after the third miscarriage, a boat washes up on the island, containing a dead man and a living baby. Isabel persuades Tom not to report it – to bury the man and keep the baby as their own. He uneasily agrees; but back on the mainland, the baby’s mother grieves for her lost husband and son. 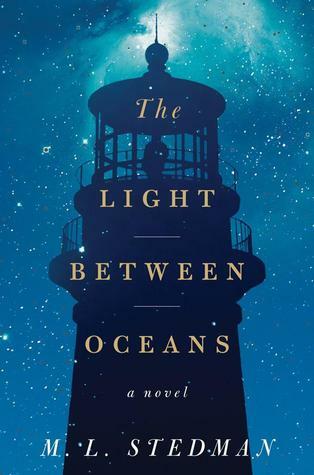 The Light Between Oceans is an extraordinary story of the difference one decision makes; how the future must be lived when the past cannot be changed; of right and wrong and love. Not only is it a beautiful book with strong characters, its thought-provoking central dilemma makes it a great discussion starter and excellent book club pick. Also: bonus points for a gorgeous cover. I just wrote a long-ish post on “the value of your library,” most of which applies whether you’re an Arlington, MA resident/library user or not. The main point of the post is that public libraries, even if you only visit yours two or three times a year, are a pretty amazing deal. Arlington, for example, spends $44.57 per capita on its public library. If you live in Massachusetts and are interested in the per capita spending for your local library, check out this report (PDF) from the Massachusetts Board of Library Commissioners (MBLC), which has that data for every one of Massachusetts’ 350 towns. Average per capita spending is $37.15 (or 1.30% of the municipal budget); the medians are slightly lower. Can you think of a better deal for forty bucks? I can’t. Check out ilovelibraries.org’s Library Value Calculator to see what the library is worth to you.